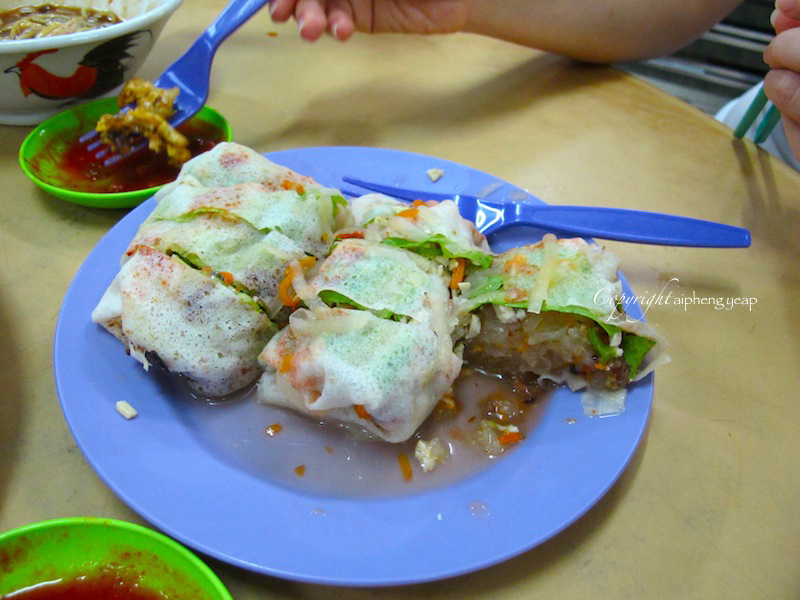 The main reason I go to Bee Hooi is for the Or Chien (Fried Oyster) and Poh Piah (Fresh spring rolls). 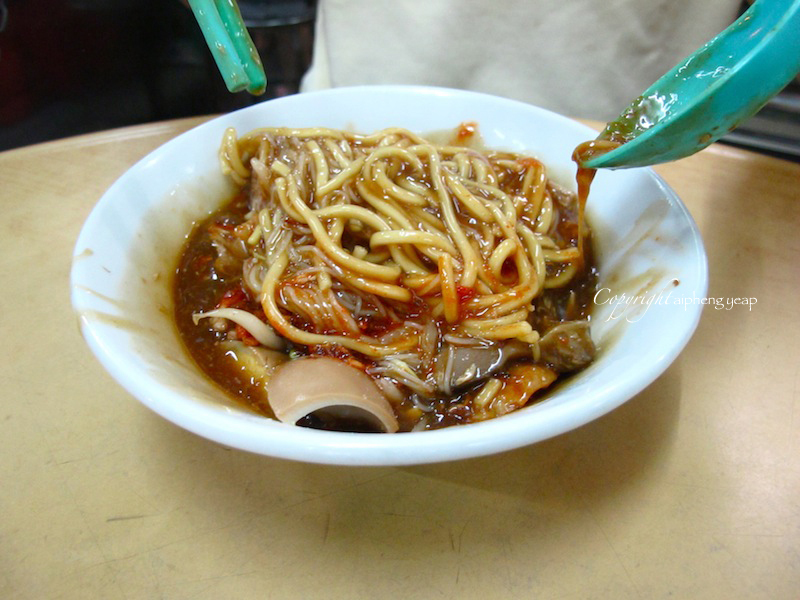 Of course, these are not the only good food at this food court. There are so many varieties, there is bound to be one that will become your favourite. 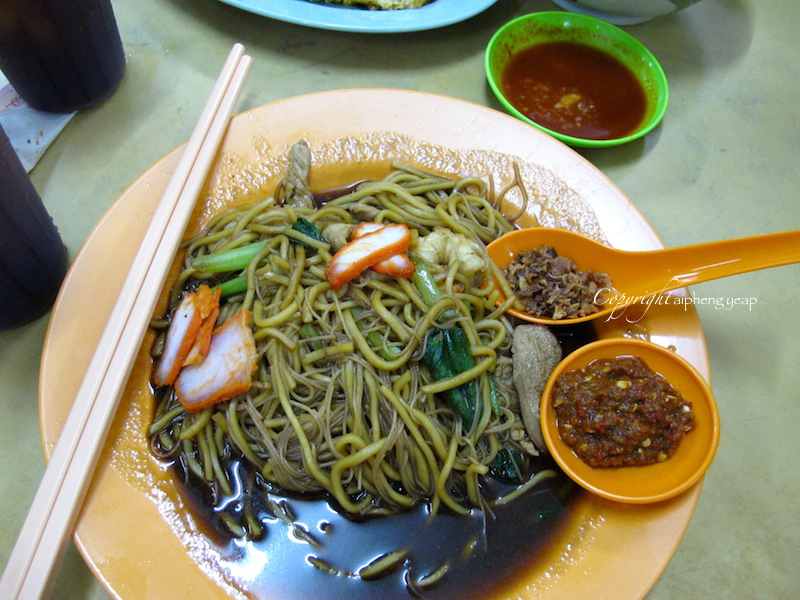 Bee Hooi is located along the row of shop houses where Poly Café and Baskin Robbins is. 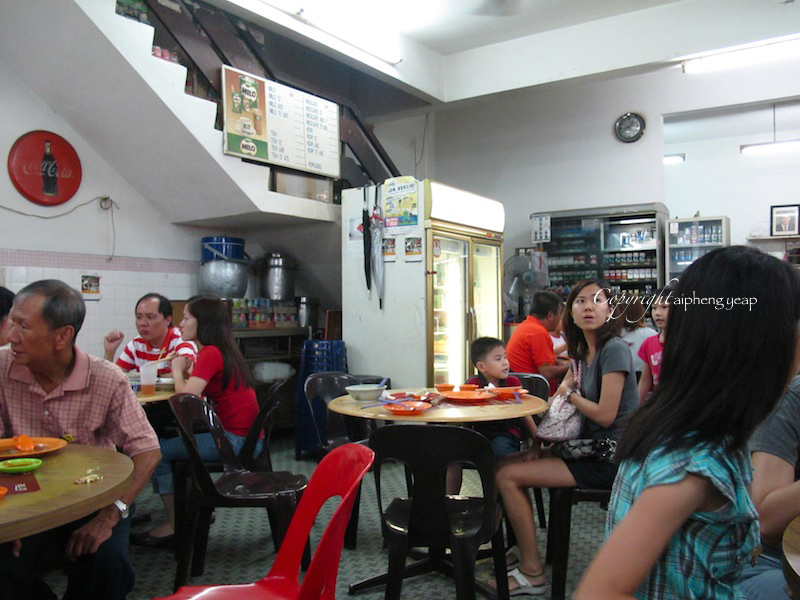 It is also opposite of Belissa Row where Haagen Daz is situated. Baskin Robbins and Haagen Daz used to be one of our usual family hang out as we used to be extreme ice cream lover. Therefore my locations explanations are very often all based on ice cream parlours. There are inside and outside seating available but this place is always full of people so, be quick at eyeing for tables that are almost done with their food and grab them as soon as people leave their tables. It is not a restaurant, so no one will seat you. First to seat on the chair gets the table. 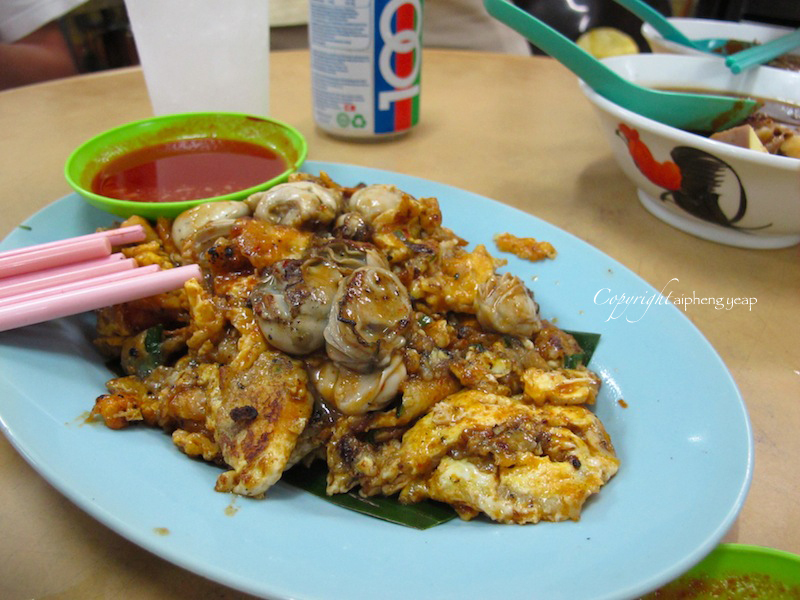 Or Chien is actually not just fried oyster on its own but is more like oyster omelette served with garlic chilli sauce. The omelette is cooked with a little starch to give the omelette a slightly gooey texture. When you mix them all up and take a big bite, it's like biting into an oyster heaven of goodness. The oysters from this stall in Bee Hooi are very fresh, big and succulent, unlike others I have had which are usually half the size. 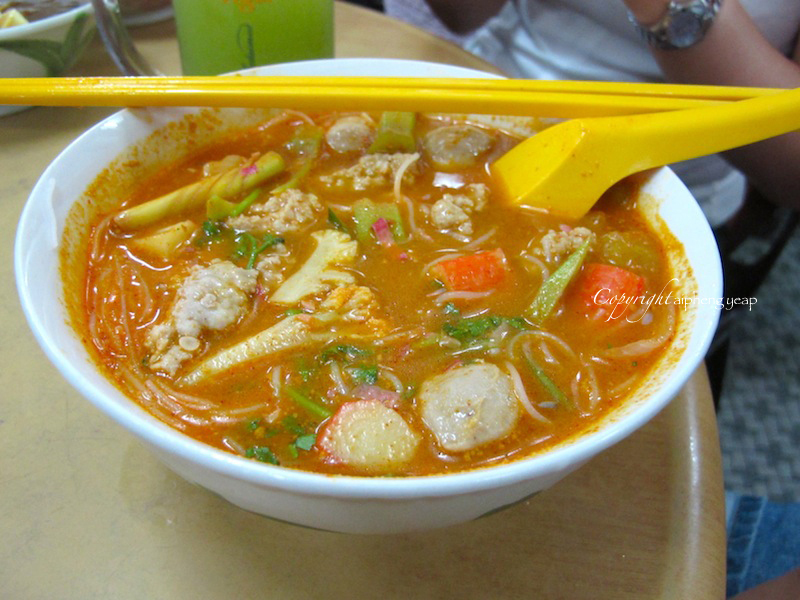 Lor Mee is noodles in thick starchy meaty gravy served with pork slices, minced garlic, soy boiled eggs, bean sprouts, fried shallots and chilli paste. Addition of chicken feet is optional. 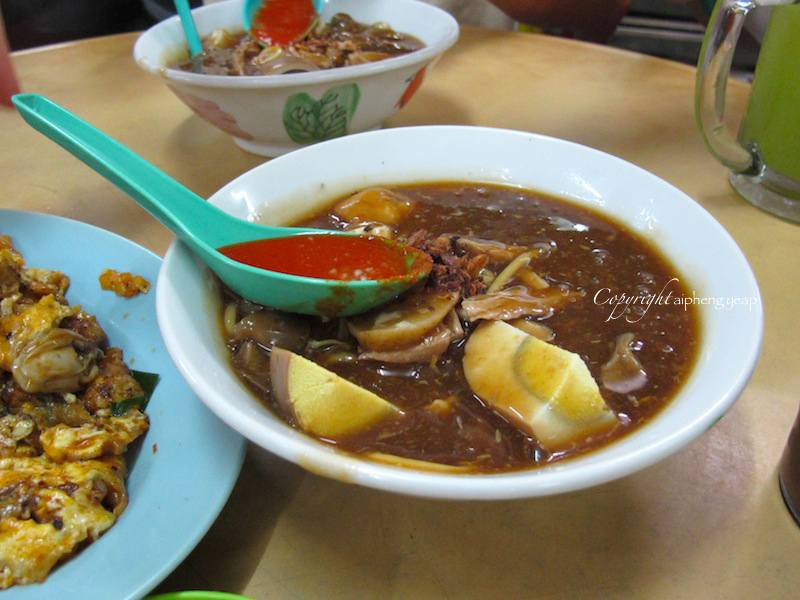 I really enjoy lor mee as I like the starchy gravy coating every little surface of the mixed noodles and ingredients. This is a totally different kind of pizza. It is not Italian nor American. 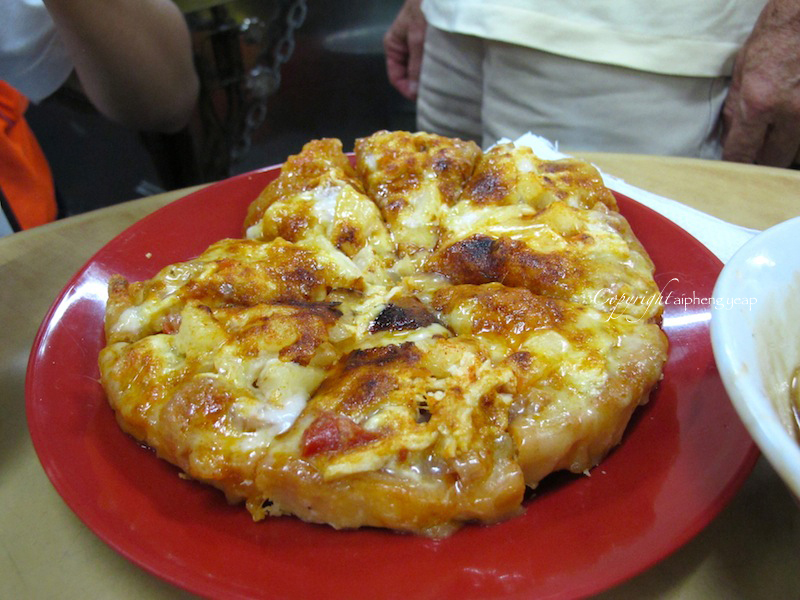 It is a Malaysian version of pizza with thick crispy base, nothing like a deep dish pizza at all. You have to try it to know what I am talking about. 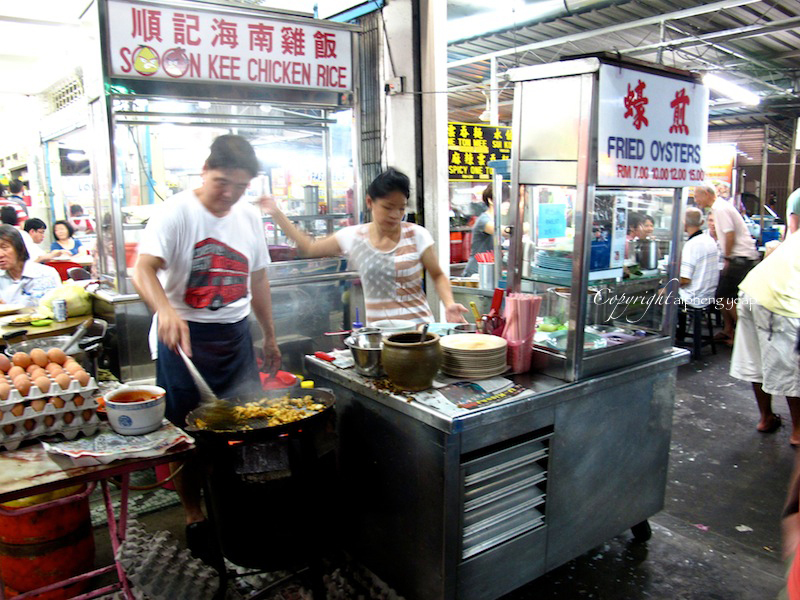 There is a van filled with 'lok lok' skewers that parks along the same street as Bee Hooi. Lok to blanch or to boil, which is a very appropriate name for these skewers. 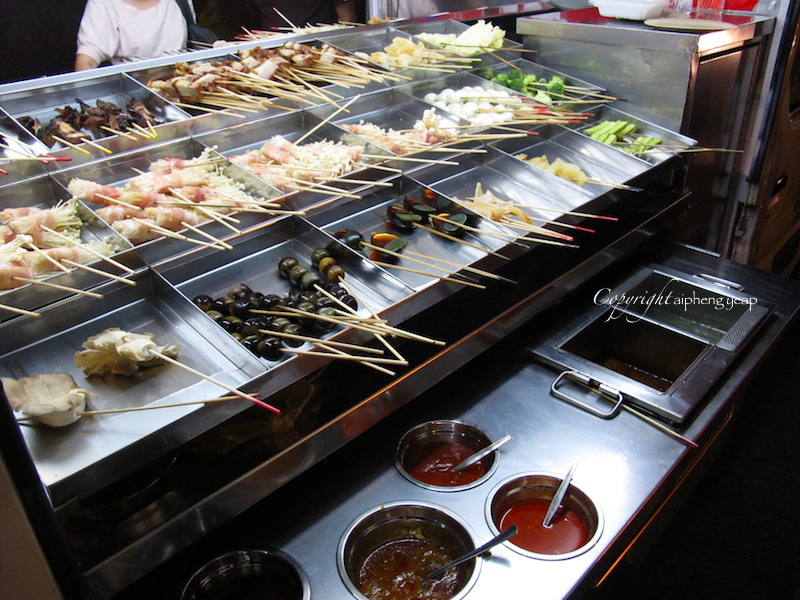 Food are pricked through bamboo sticks into skewers where most are cooked, or need short time to cook. There are two square buckets, one filled with boiling water and the other, boiling peanut sauce. You can either boil the skewers in either, to heat or cook the food on skewers then top up with the many different kind of sauces on the side. 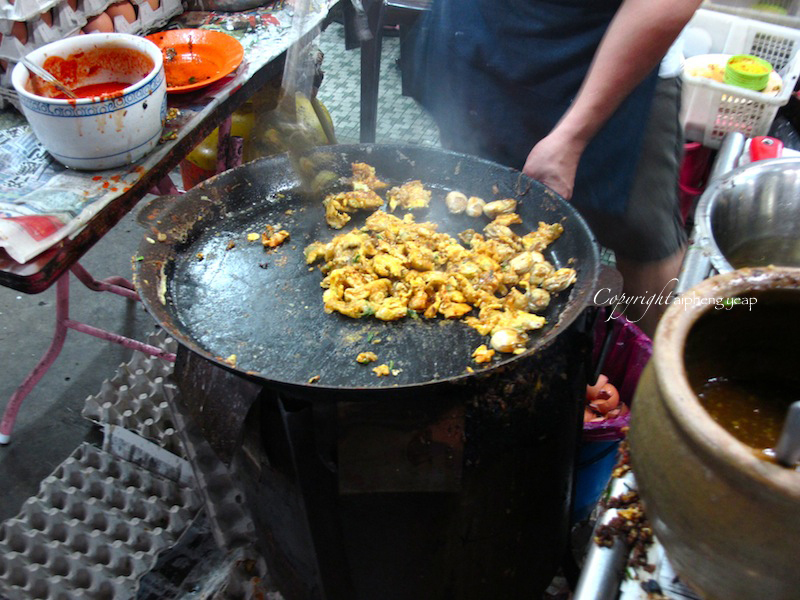 ** If you noticed, I referred the man frying oyster at the stall as 'uncle'. This is the way we refer a man older than us, in a casual and respectful way. So uncle does not always means uncle as a family member. This will be the same for auntie.